Pada should be calculated for all the planets and for all houses. See how far indirect the lord of a house has travelled from own house. The Arudha (Pada Lagna) of the Ascendant (and other signs) is the sign obtained by counting as many signs from the lord as it has progressed from ascendant (or other sign). If it has gone to the fifth house then count fifth from that planet. The position you have arrived now is the pada concerned. In the following examples let's calculate the pada of all twelve houses. Some astrologers have given some exceptions. 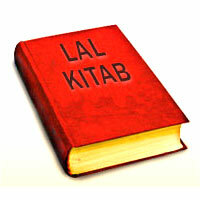 They say that lagna lord is in the lagna then the pada will be the tenth house. And if the lord of a sign is in forth from it then the fourth house becomes the Arudha. If the lord of a sign is in the seventh from it then the 10th house becomes the Arudha. This is not followed by the majority of the astrologers. Besides, such astrologers have ever shown how this so called exception works and gives correct result. House Placement of Lord Progression Lagna Seven houses 7th from Aquarius is Leo Second Sixth house (Aquarius) 6th from Aquarius is cancer Third Four houses (Capricorn) 4th from Capricorn is Aries Fourth Five houses (Pisces) 5th from Pisces is cancer Fifth Five houses (Aries) 5th from Aries is Leo Sixth Four houses (Aries) 4th from Aries is cancer Seventh Three houses (Aries) 3rd from Aries is Gemini Eighth Second house (Aries) 2nd from Aries is Taurus Ninth Twelve Houses (Pisces) 12th from Pisces is Aquarius Tenth Nine Houses (Capricorn) 9th from Capricorn is Virgo Eleventh Nine Houses (Aquarius) 9th from Aquarius is Libra Twelfth Seven houses (Capricorn) 7th from Capricorn is cancer Importance of Pada Lagna Arudha Lagna and 11th House • When planets influence the 11th house from Arudha lagna by occupation or aspect, the native enjoys varied comforts and wealth. • Influence of natural benefics on the 11th house causes gain of wealth through fair means. • Influence of natural malefics on the 11th house causes gain of wealth through questionable means. • The extent of gains is directly proportional to the number of planets occupying or aspecting 11th house. • When a planet in exaltation occupies or aspects 11th house from Arudha lagna, there are multiple gains and means of earning by fair means. Arudha Lagna and 7th House • A planet in exaltation in 7th house from Arudha lagna indicate that the native is famous and wealthy. • When one or two or all three of Jupiter, Venus and Moon occupy in 7th house from Arudha lagna, the native is wealthy and renowned. • Rahu and Ketu in 7th house from Arudha lagna indicate abdominal diseases. • Ketu in 7th house from Arudha lagna aspected by malefics indicates that the native is courageous having grey hair with signs of premature ageing. Arudha Lagna and 12th House • When Sun, Venus or Rahu occupy the 12th house from Arudha lagna, the loss of money is caused by the king (Government). This is particularly so if Moon additionally aspects the 12th house. • Saturn and Mars in 12th house cause monetary losses through brothers. • Mercury in 12th house causes losses through closely related individuals. 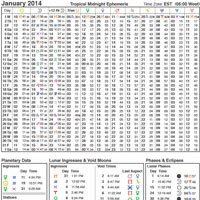 Mutual strife and litigation cause monetary losses if Mercury in 12th is aspect by natural malefics. • Jupiter in 12th receiving aspects of other planets means loss of money either through taxation or through willful expenditure. Arudha Lagna and pada of 7th House (A1 and A7) • When A7 falls in Kendra or trikona from Arudha lagna, the native is wealthy and famous. • Wealth and fame also ensue when both A1 and A7 are associated with strong planets. • A strong planet in Arudha lagna or in any of the houses 3, 4, 5, 7, 9, 10, and 11 from it, ensures that the native is blessed with wife, children and comforts of home. These mutual dispositions of Arudha lagna (A1) and A7 confer on the native fame, wealth, progeny and position in life. 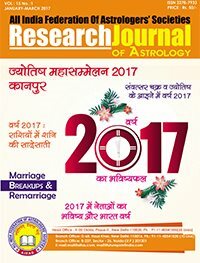 • Arudha lagna and A7 in mutual Kendras or Konas ensure conjugal harmony for the couple. • Extra-marital affairs are caused by Rahu and other malefics in 2nd or 7th from Upapada. 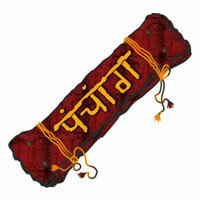 Sun as lord of Dara pada may give relationship before marriage. Matching of Charts The ascendant of the spouse should preferably be the upapada, its trines, 7th sign from upapada or the sign occupied by its lord in the chart of the native. Difference between Upapada and Darapada Upapada deals with the institution of marriage and children, whereas Da rapada deals with the sexual appetite and partners in business and finances. Jupiter is karaka of upapada and Venus is karaka of Darapada. Denial of Marriage Lord of Darapada in 12th from Arudha Lagna. Nature of Spouse is seen from the planets in Upapada and those aspecting it.